DEAN Knows has years of experience working on IDX and VOW Compliance. Working not only with large brokers in listing display implementation, DEAN Knows also has experience participating in the writing of the IDX and VOW rules for multiple MLS’s. As part of our Real Estate Technology Consulting packages, we can assist with getting IDX on your Real Estate Website. 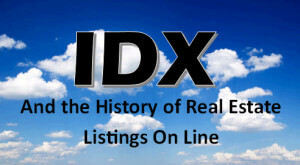 IDX has become the standard for real estate agents and brokers to display other broker’s listings online. Using a RETS feed from the local MLS, agents (where applicable) and brokers can display other brokers listings on their website. The challenge with IDX and VOW is making sure that everything is in compliance with both the local REALTOR board, the MLS and the state real estate commission as it pertains to online advertising. As a general rule, real estate agents and brokers can not advertise ANOTHER brokers listing as their own. This makes sense when you think about the legality of an agent creating a flyer for another agents listing and passing that out with their own contact information on it. The rules, if broken, can result in fines by both the REALTOR board and the state real estate commission as well as losing access to the MLS. Any broker that participates in the IDX pool gives the right of other brokers and agents to display their listings, but many rules apply. The above statement is NOT meant to be a description of any state rules and regulations, but an example of the most basic rules that exist. Please refer to your state regulatory body for details. 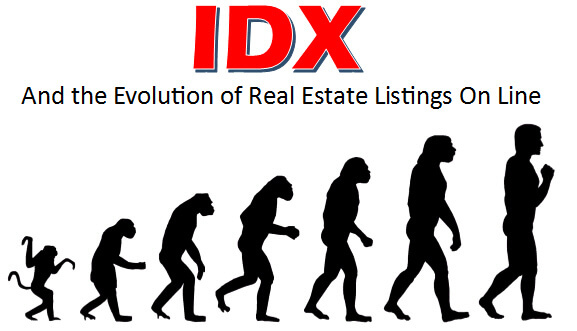 Many of the rules and regulations pertaining to display of IDX data come from the local MLS or REALTOR board where the RETS feed is obtained. These rules must be observed to avoid fines, lawsuits and continued access to the MLS not only for the broker, but all agents associated with that broker. The rules, at the MLS level, usually refer to the disclosure that must be displayed on all IDX listings, any specific icons that may be used, what fields of data can be displayed, what property statuses can be displayed as well as how often you must update the data. Although NAR provides some mandatory policies, most of the display rules are optional and at the discretion of the local board. The NAR policies and options are put out yearly in the NAR Handbook of Multiple Listing Policy. Most recently, NAR has approved the display of Sold Data in IDX feeds. The specific rules for each jurisdiction can vary dramatically and can be very specific. A VOW is a Virtual Office Website. A VOW was created when the internet became a force in real estate and new brokerage models were being developed. VOWs were initially intended to be a real estate broker that did not have a “bricks and mortar” office and only existed on the web. When MLS’s barked at giving these types of real estate companies all of the MLS data for public display on the web, they sued the National Association of REALTORS for the right to display not only Active listings, but Under Contract, Expired and Sold data — just as a bricks and mortar brokerage could do. In 2008, NAR and the DOJ (Department of Justice) came to a mutual agreement on the details of a VOW. Today you can request a data feed from an MLS that is a VOW feed. A VOW feed for listing display is very similar to and IDX feed, but can contain different fields of data as well as different property statuses and always requires the user to “sign up”. Because of the previously mentioned lawsuit, there are many specific rules on how a VOW can be implemented and displayed as well as rules on how the broker/agent handles passwords etc. Although most of the regulation on a VOW were decided in the NAR – DOJ settlement, the local boards do still have some discretion on certain items. Today, it is not technically challenging to display all of the listings in your MLS on the web. Making sure that everything is in compliance and the site can be found by the major search engines are the biggest challenges. DEAN Knows can assist with getting you set up properly for displaying IDX and VOW data on the web. Full IDX and VOW consulting for all 50 states and in person servicing for New Orleans, Metairie, the Westbank and the Northshore of Louisiana. Contact DEAN Knows Today To Properly Get Real Estate Listings On Your Website!